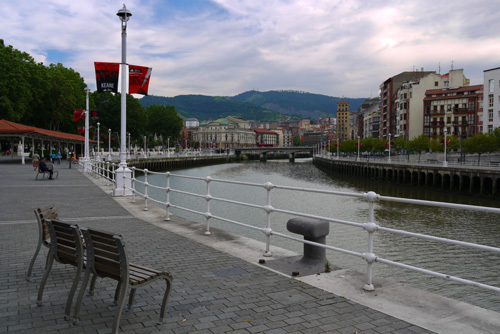 Arenal Ibilbidea is a carfree street along tha banks of the river in Bilbao, Spain. 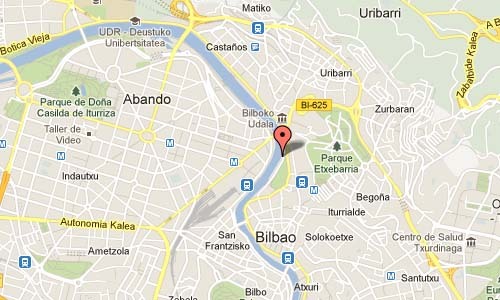 It is close to the Arenal Bridge, which is a reinforced concrete bridge in Bilbao, Spain. 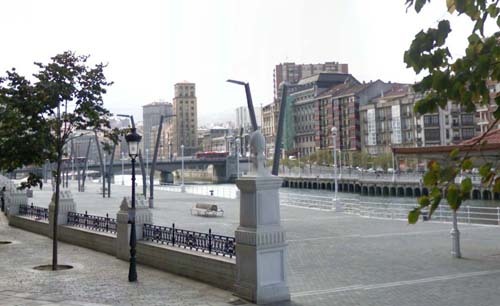 It spans the Estuary of Bilbao, linking the neighborhoods of Casco Viejo and Abando. 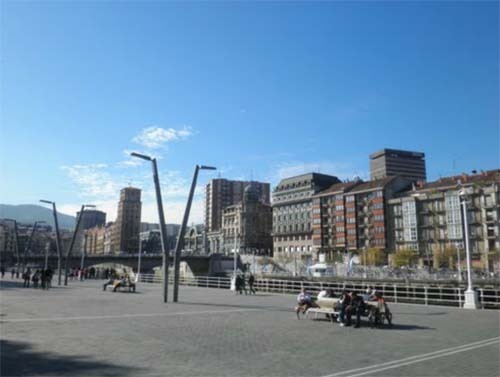 Along with the growth of Bilbao, the urban centre of the city expanded beyond the old original seven streets, and started to expand over territories of the, by that time, elizate of Abando. 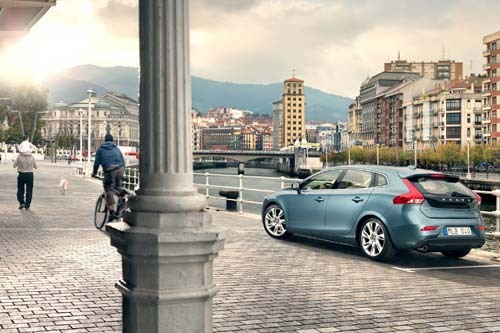 In fact, the transit of people moving from Abando to Bilbao or from Bilbao to Abando grew every year and became more fluid. As the only bridge that crossed the Estuary of Bilbao was the San Antón Bridge, it became a necessity and a priority to build a new bridge that would connect both banks of the river. On the banks, you find the Kiosko del Arenal. The “Kiosko del Arenal” was reconstructed in 1985, the original one was built in 1923. Several bands play concerts in this Kiosk, especially the Bilbao Town Band. The Kiosk sits in a park in front of the river.